The watch looks even better in person than in the photos. Its simplicity is very elegant. 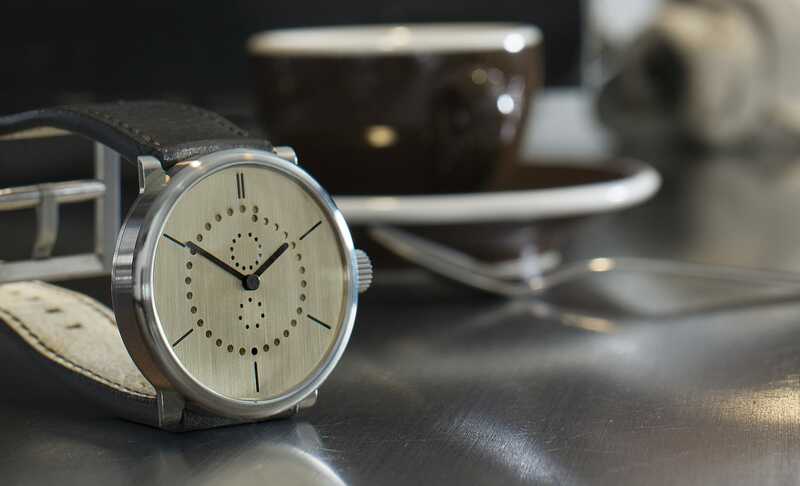 The brass dial and the brown strap harmonize extremely well. My compliments to you and Ludwig Oechslin! This watch is proof that Antoine de Saint-Exupéry was right: Perfection is attained not when there is nothing more to add, but when there is nothing more to take away.